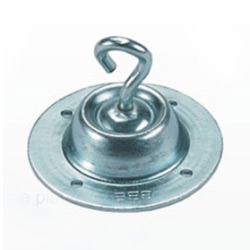 The vices are developed prudently by making use of high quality tough cast iron and steel along with the employment of most sophisticated techniques in conformation with the industrial quality norms. Material: Steel or stainless steel 1.4301. With a main aim to accomplish high level of patron trust, we have been engrossed in providing a vast assortment of Straight Swivel. Swivel fixturess are designed to swivel its adaptor up to 900 to make vertical and horizontal position for tightening of collet & pull stud. Fixture is made from steel cradle with alloy steel toughened ground adaptor. 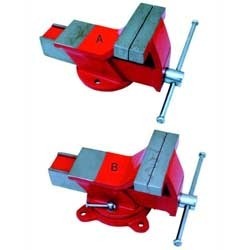 Star grips are provided from both sides for rigid clamping.